All the VR headsets we've seen up to this point require some other device to do all the heavy lifting. With Oculus and Vive, it's a gaming PC. With GearVR and Daydream, it's a smartphone. The Oculus Go is a fully standalone VR headset, and it can be yours today for $199. The hardware looks like a slimmed down version of the PC-based Oculus headset. Oculus Go plugs into the same content ecosystem as GearVR, and it does run Android behind the scenes. Oculus/Facebook stresses that there are already 1,000 titles available for the Oculus Go, many of which are games. The Snapdragon 821 SoC should be plenty powerful to run all those games, too. The Oculus Go will not use an OLED panel like many VR headsets. Instead, it has a 2560x1440 fast-switch LCD. Most VR systems use OLED because you need the fast refresh rate for VR, but this LCD can supposedly keep up. Plus, it won't have a pentile matrix, which reduces the "screen door" effect. 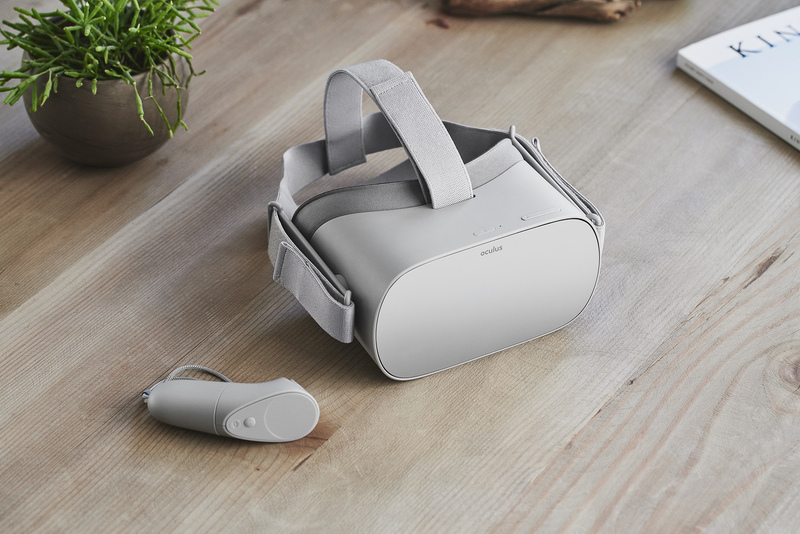 The Oculus Go is available today for $199 with 32GB of storage. If you want more, a 64GB version is available for $249. It's in stock on Amazon, the Oculus store, Best Buy, and more.